The Grey Investment Group is a privately owned investment enterprise with its foundations set down by the pioneering Grey family. 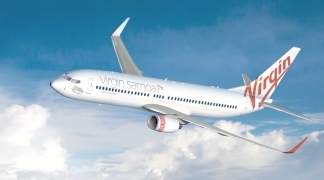 It has now extended its investments into the Greater Pacific and Australasian regions with offices in French Polynesia, New Zealand and Samoa‎. When travellers talk of their adventures and experiences in the South Seas, the name Aggie Grey’s is bound to come up. Built as the International Hotel, the original wooden building was removed from its first site in 1919 and rebuilt in 1933 where the Sheraton Samoa Aggie Grey’s Hotel & Bungalows now stands in Apia, on the harbour’s edge. From 1933 through to the 1970’s the Aggie Greys Hotel Samoa was visited by movie stars, dignitaries, politicians, diplomats, and executives. It also has many fond memories for families visiting from around the world. In the 1970’s and 1980’s the next generation started working in the family business. Alan Grey, son of Aggie Grey, saw new opportunities and founded the Grey Investment Group. With these new opportunities, the group moved into various other sectors such as Aviation, Energy, Finance, Manufacturing & Logistics, Sports & Events and Tourism & Hospitality. Frederick Grey and Tanya Grey were quick to join the group and have since laid the foundations for what Grey Investment Group is today with its future expansion into the greater pacific region. 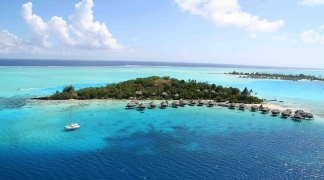 In 2005 and in collaboration with the Samoan government, the Grey Investment Group opened the doors of the $25m USD Aggie Grey’s Lagoon, Beach Resort & Spa. The Resort offers a whole new family holiday experience in paradise and is situated only five minutes from Samoa’s main International Airport. With its superb location the Resort allows travellers a quick and effortless gateway to the start of their Samoan holiday. Offering full facilities and the legendary Aggie Grey’s gracious hospitality and service, guests are welcomed with a smile and treated as a guest in their home. A destination for romantic escape, a family holiday, a short break or a group event, the resort provides the idyllic location. 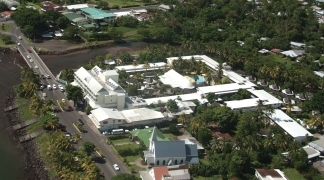 More recent investments include investment in Virgin Samoa, the acquisition of Le Meridian Hotel in Tahiti for $15m USD in 2012, the re-development of Le Penina Country Club, Golf Course and Entertainment Functions Centre and Samoa’s first Condominium and Time Share Village development, due to be developed in 2016. The Grey Investment Group continue to progress their portfolio in the Pacific region, constantly on the lookout for new opportunities as it looks to diversify and grow in emerging markets to add to its rapidly expanding asset base. 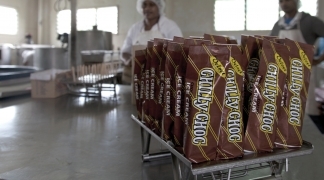 We’re one of the Largest Private Employers in Samoa. We love working with people and helping the wider community - the group employs close to 1,000 people in Samoa, and nearly 500 in Tahiti, French Polynesia. This makes us the largest employer in Samoa outside of the government, ensuring on-going positive contribution to the Samoan economy. Alan N.L Grey founded the Grey Group in the late 1980s. He has been instrumental in laying the foundations for what is known today as the Grey Investment Group and it’s diverse portfolio of assets. Alan’s professional history spans as one of the Pacific’s most well known and respected business executives. Bank of Western Samoa. 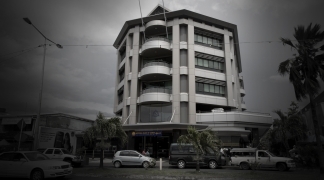 Formerly owned by the Government of Samoa and the Bank of New Zealand (Now the ANZ Bank Samoa). 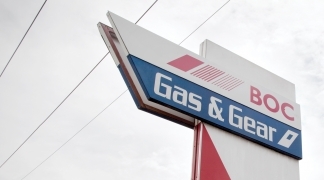 Samoa Industrial Gases (Now Oceania Gas). Represented Samoa as part of the 1950s National Rugby Team XV. Represented Samoa in Sailing at the South Pacific Games in French Polynesia and Fiji. Samoa Rugby Union National XV Team. Hall of Fame for his Contribution to Sports in Samoa. Outstanding Service Award for service to Samoa and the Business community awarded with Honors by the Government of Samoa. Many Sporting Bodies, Charities and Non Government Organisations. Frederick A Grey is the Chief Executive Officer of the Grey Investment Group and his background has been largely development and property based. Frederick has a degree in Political Science, Economics and History from the University of Canterbury, New Zealand along with an Advanced Diploma in Hotel Management from the prestigious Blue Mountains International Hotel Management School, Blue Mountains, Australia as well as an Advanced Diploma in Hotel Management from the IHHTI Hotel School in Neuchatel, Switzerland. Frederick has also played representative Rugby for the Samoa A Rugby Team against New Zealand A and New Zealand Maori. When off the field, Frederick has been actively involved in Captaining traditional Samoan Long Boat Canoes in annual races between American Samoa and Samoa. Frederick has been largely responsible for the Groups growth into new markets and ventures. Some of the most significant developments to date was developing and overseeing the refurbishment and rebuild of the 200 Room Sheraton Samoa Aggie Grey’s Hotel and Casino, Samoa‎ at a cost of USD$50 million which was completed and opened in August 2016. 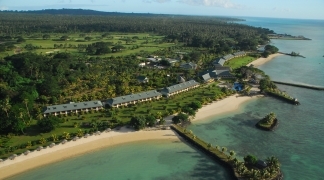 Previously, just completing the refurbishment and rebuild of the 150 room Sheraton Samoa Aggie Grey’s Beach Resort and Golf Course, Samoa at a cost of USD$10 million which was completed and opened in January 2015. He was also instrumental in introducing the first and very only Casinos to Samoa with the introduction of the White Sands Casino and Black Sands Casinos at a cost of USD$10 million which were launched consecutively in August 2015 and October 2016. 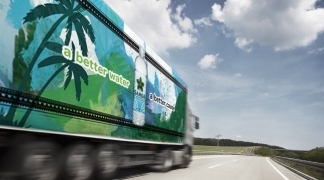 Frederick also developed Samoa’s only green fields natural artesian water export plant which was launched in 2008 at a cost of USD$8 million‎ as Samoa Artesian Water Brand. Tanya K Grey is dedicated to the accounting, finance and management divisions of the Grey Investment Group. Having studied Accounting, Tanya’s skill set and knowledge base has become finely honed with years of hands-on experience in handling day-to-day financial operations for a broad variety of businesses helping to develop long-term financial strategic planning and direction for the Group. Unrivalled in her experience of Hotel Accounting and Management systems, she also has a wealth of applied knowledge in general business management, business account systems, and business-dedicated information technology. With over 20 years experience in all levels of the business, Tanya continues to be a pivotal asset and contributor towards Grey Investment Group’s continuing growth and success and the Groups growth in the pacific region. 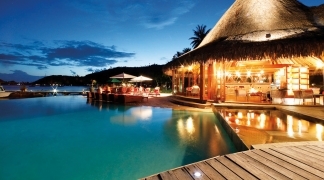 Sofitel Bora Bora Private Island. 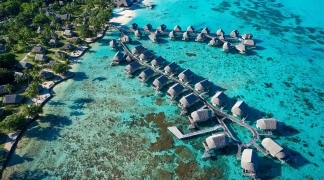 Sofitel Bora Bora Marara Beach Resort. 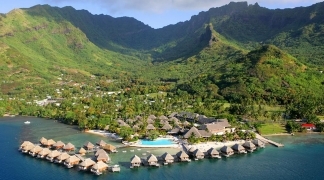 Moorea Ia Ora Beach Resort Hotel. Sheraton Samoa Aggie Grey’s Resort. Sheraton Samoa Aggie Grey’s Hotel & Bungalows. 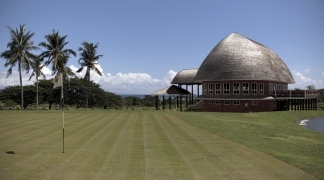 Le Penina Golf Course & Functions Centre. Apia Bottling Co Ltd, Importation & Distribution. Apia Bottling Co Ltd, Manufacturing. 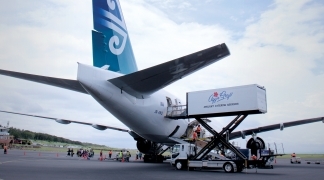 Airline Catering Services for Air New Zealand - Faleolo Intl Airport, Samoa. 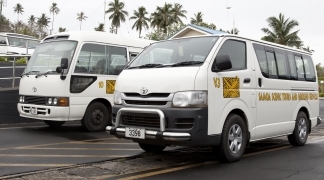 Samoa Scenic Tours & Inbound Services. We see potential in investments that create jobs for people and provide support for their communities. Ambitious & successful, we have a prosperous history of new development ventures and investments in world-recognised brands, into all of which we instil our principles of Family Values, Integrity, Loyalty, Ethics, Traditional Ethos and Progress. Grey Investment Group & Culture. As part of maintaining the Samoan tradition for years to come, the Grey Investment Group have been instrumental in helping rejuvenate the ancient 1,000 year old sport of traditional long boat racing called “Fautasi Long Boat Racing” within the many Samoan Villages. This has now become one of the most popular events in the country’s Independence celebrations on Apia Harbour, with races in September called the Teuila Festival Race. These boats can be manned by either men or women and can hold up to 40+ people. 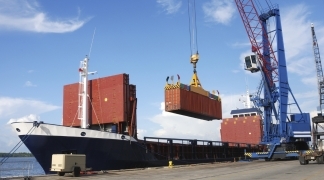 Boats can measure anywhere from 85 to 100 feet long. Backing the Boys & Manu Samoa Rugby. Grey Investment Group have been proud supporters of Samoan Rugby since the early 1970’s and still continue to be now. Instrumental in being a driving force behind Samoan Rugby and what it is today, the Grey Investment Group lead by Alan Grey pioneered Samoan Rugby from the early 1970’s. Even the Samoan Prime Minister can be quoted saying “The truth about Alan Grey… Rugby wouldn’t exist in Samoa today without him…” Alan Grey has spent millions of his own money to fund Manu Samoa in the past. Alan Grey was installed as the National coach in the 1970’s and helped the Samoan Rugby Team to some great successes. Behind the scenes the group collectively helped finance Samoan Rugby until it became professional with the formation of Manu Samoa Rugby Limited. This was helped by the Fay Richwhite Merchant Bank, Grey Investment Group, and the Samoan Rugby Union. The Group has spent millions sponsoring Samoa Rugby over the years and are proud of where it is at today. Giving Back To The People. Help is given by assisting plastic surgeons, doctors and aid groups with free accommodation and meals at our hotels and resorts for those that volunteer to come to Samoa to help the needy. The Samoa Red Cross Society is recognised for its capacity to provide humanitarian support to the most vulnerable in the community. The Society helps people prevent, prepare and respond effectively to emergencies and disasters through services that are in accordance with the Fundamental Principles of the International Red Cross and Red Crescent Movement. The Little Sisters of the Poor are an international congregation of Roman Catholic women, founded in 1839 by Saint Jeanne Jugan. Together with a diverse network of collaborators, we serve the elderly poor in over 30 countries around the world. We have been supporting Little Sisters of the Poor for several decades now. For any questions, queries, or enquiries, please contact us as follows.